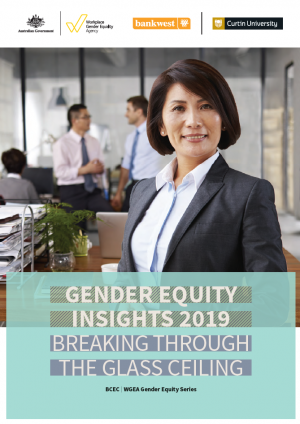 Welcome to our first tri-annual newsletter for 2019! 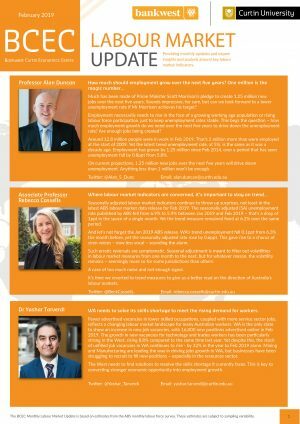 This year is set to be another strong year for BCEC and we look forward to reporting these highlights to you in the months to come. 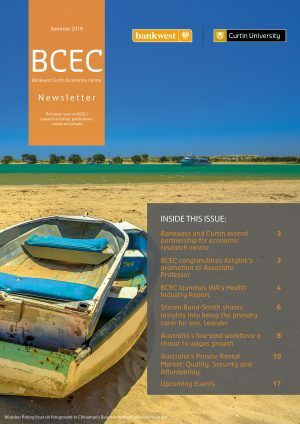 In this edition, we look back through BCEC’s achievements in the final months of 2018, including the welcome news that Bankwest and Curtin University renewed their support for the Centre, providing funding for the next four years. This commitment is exciting for the Centre, and will allow us to continue building our reputation and extend our research impact. 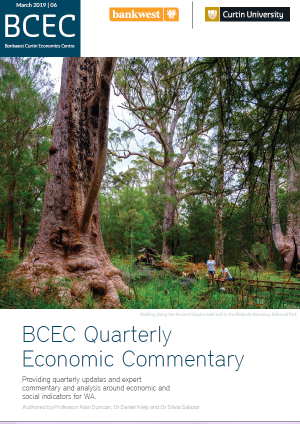 BCEC released a number of impactful research reports, including research into Western Australia’s health sector, Australia’s private rental sector, energy policy, and tourism in South West WA. Our report into the private rental sector in WA uncovered lease uncertainty and housing affordability to be key issues in the private rental sector, evidence which was supported by WA Housing Minister Hon. Peter Tinley AM MLA in a media statement following the launch. Minister Tinley called on industry and the community sector to partner to tackle the issue of affordable housing. We also welcomed a visit from eleven year old Cottesloe Primary School student, Christopher Henderson. Christopher and I discussed my research into child poverty in Australia, for a presentation he was delivering in the WA Legislative Council. Research impact and collaboration comes in many forms, and I relished the opportunity to meet with Christopher for his project. 2018 was also a year of personal success for a number of our staff, including Astghik Mavisakalyan. My congratulations to Astghik for her recent promotion to Associate Professor and Principal Research Fellow – a very deserving recognition. Thank you for your support of the Centre, and best wishes for a happy and successful 2019.